The court had in July last year passed a slew of directions on police reforms and restrained all states and Union territories from appointing any police officer as acting DGPs to avoid favouritism. NEW DELHI: he Supreme Court Wednesday clarified its last year order on police reforms and said officers who have a minimum of six months tenure left in service can be considered for the post of director general of police (DGP). A bench headed by Chief Justice Ranjan Gogoi said the recommendation for post of DGP by the Union Public Service Commission (UPSC) and preparation of the appointment panel should be purely on the basis of merit. Singh had alleged that the July 3, 2018, directive, asking the UPSC to consider only those IPS officers for appointing as DGP who have two years of service left, was being misused by state governments who were ignoring competent senior officers for appointment as DGPs. It had taken note of the Centre's submission that some states have adopted a practice to appoint DGPs on the last date of retirement as a consequence of which the person continues for two years after his date of superannuation. Besides giving due weightage to "merit and seniority", it had directed the UPSC to consider those IPS officers "who have got clear two years of service" for appointment as DGPs. Singh, on whose PIL the directions on police reforms were passed, had filed a fresh plea before a bench headed by Gogoi alleging that the specific direction that IPS officers should have minimum two years of services left for being considered for the post of DGPs was being used to deny the promotion to "competent" and "honest" officers by states for their vested interest. "Due to this, brilliant police officers have been overlooked just because they do not have two years of services left. The UPSC says that it will not consider these officers," lawyer Prashant Bhushan, appearing for the former DGP, had said. The consequences of the direction were coming to the fore now, Bhushan had said. He had given the example of Bihar DGP and said he had resigned and joined BJP and now, he has been allowed to join the police force and made the DGP. Attorney General K K Venugopal, appearing for the Centre, had opposed the plea and said the earlier order was passed keeping in mind the practice of appointing police officers, on the verge of retirement, as DGPs by some states. Some of the states were adopting a method of appointing acting DGPs which was against the spirit of the apex court judgment on police reforms. Some DGPs were initially appointed on acting basis and later, they were made permanent just before the date of their superannuation as a consequence of which they continue till the age of 62 years and moreover, they act as per the whims of the state governments concerned, he had said. Chronicling the steps to be taken for appointment of the police chief, the apex court had said: "All the states shall send their proposals in anticipation of the vacancies to the UPSC well in time, at least three months prior to the date of retirement of the incumbent on the post of DGP". It had said the UPSC should then prepare a panel as per the earlier directions of the court and intimate it to the states, which in turn shall immediately appoint one of the persons from that list. The UPSC, while considering the names for empanelment, should look for those people as far as practicable with clear two years of service left before superannuation, it had said. 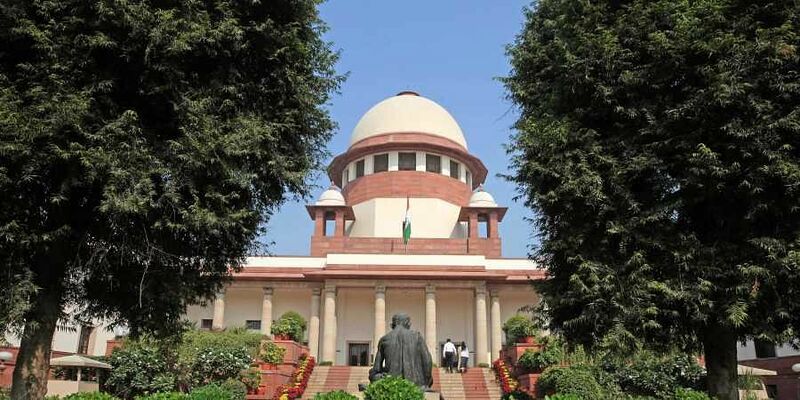 The apex court, on September 8 last year, had agreed to hear a clutch of pleas observing that its historic 2006 verdict on police reforms, recommending steps like fixed tenures for DGPs and SPs, has not yet been implemented by states and Union territories. The apex court, while deciding the PIL filed by two former DGPs Prakash Singh and N K Singh in 2006, had issued several directions, including setting up of a state security commission, to ensure that the government does not exercise unwarranted influence on the police.